A much-needed splash of color just got added to the (formerly) big white wall on the side of the Plan B nightclub on Williamson St. 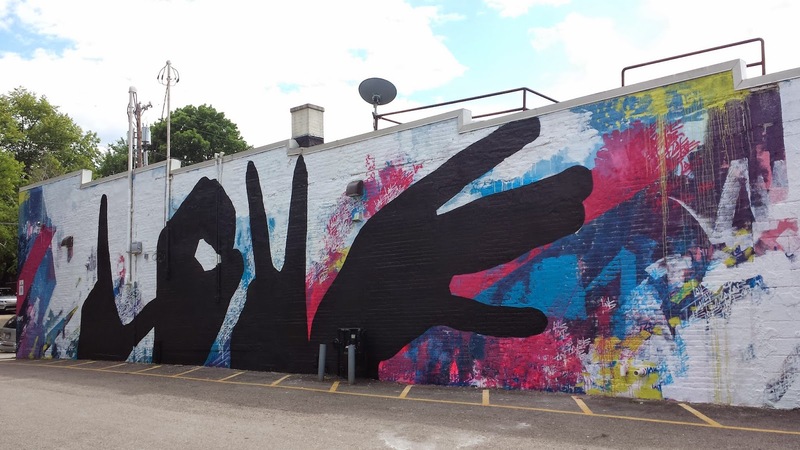 The Baltimore Love Mural is the second mural to go up on a wall in the neighborhood in as many years as part of the Marquette Neighborhood Association’s (MNA) Murals on Private Property initiative. Michael Owen, who stayed with MNA Arts & Culture Committee Co-Chair Sharon Kilfoy while in town, said he knew he was in the right place when he saw Panmela Castro’s “The Siamese Twins” on Willy Street Co-op East. Meep again. 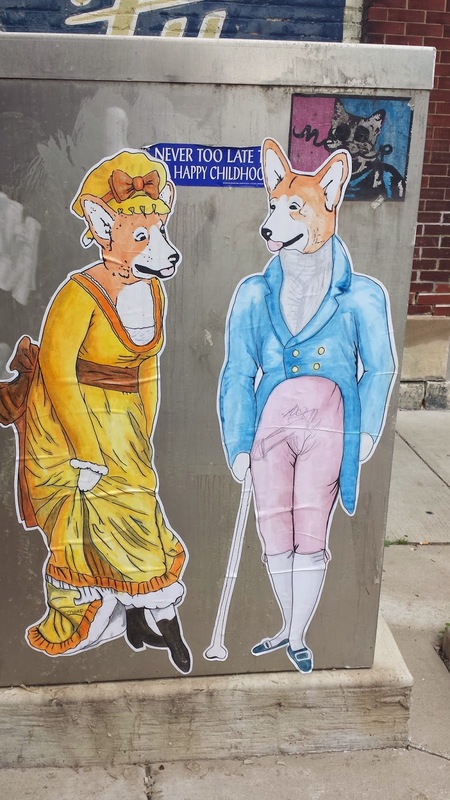 Paste-up at the corner of Ingersol and Willy. And the inevitable dong graffiti on the gentleman dog, too. 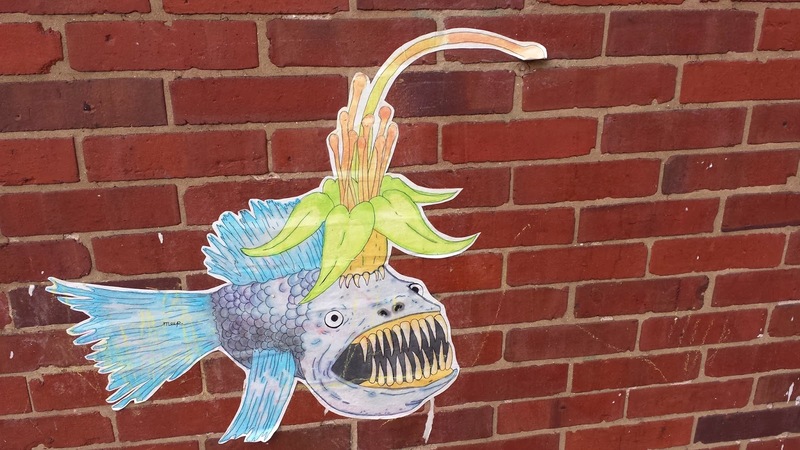 Another piece by one of our most prolific Madison street artists (or collective, I've heard conflicting rumors), Meep! On the side of Mother Fools, natch. Such a pretty, pretty deep sea creature!